Sail into a dream at our Annapolis bed and breakfast near the U.S. Naval Academy, an engineering college composed of traditions from a bygone era. “The Sailing Capital of World” boasts the sportsmanship of midshipmen participating in regattas. The U.S. Naval Academy is an institution steeped in maritime tradition and civilized sportsmanship. Midshipmen are fully funded by the Navy and uphold the standards of competence, character, and compassion that the U.S. Navy and Marine Corps stand for. The most important goal of the program is developing a sense of moral beliefs and upholding honor. 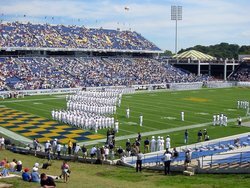 Celebrate your midshipmen and have them join you at our Annapolis bed and breakfast near the Naval Academy at no extra charge. 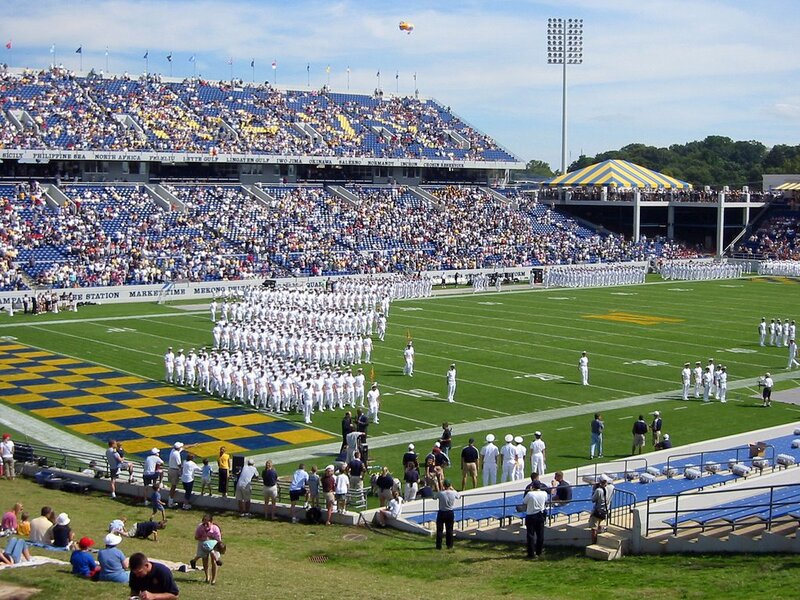 The Army-Navy football game is one of the most traditional games for midshipmen with a decades-long rivalry. The US Naval Academy promotes the physical development of each midshipman, in addition to professional and intellectual development. The annual croquet game against St. John’s College draws a crowd on the last Saturday of every April by upholding a tradition steeped with sportsmanship and is a sight not to be missed. No other institution can match the reputation of the Academy for such well-rounded graduates. 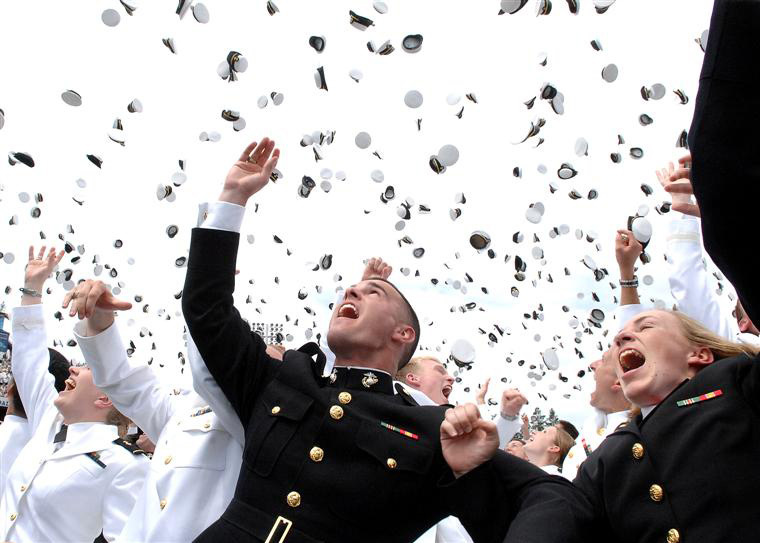 Prospective midshipmen must be sponsored by a congressman before entering into one of the most esteemed institutions in the United States. Visiting colleges is exhausting and making choices is often a daunting task. Stay with us in our Murray Suite and become familiar with Annapolis. 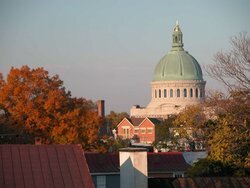 The Annapolis Inn is just one block from the US Naval Academy and three blocks from St. John’s College. We have sponsored Midshipmen from the US Naval Academy for almost two decades and are happy to share our knowledge, perspective and insight with you. Our Murray Suite has a comfortable king size bed in the master bedroom and a queen size Murphy bed in the sitting room. Because you are a visiting college family, our incremental charge for a third party is waived. A two-night stay is required at our Annapolis bed and breakfast near the Naval Academy. We are very proud of what our midshipmen have achieved. The Annapolis Inn neighbors the US Naval Academy. Enjoy an afternoon of sportsmanship and tradition.